Who doesn’t like the month of December? With the year ending and the many parties to attend, and with this comes the question ‘What should I wear?’ Putting together a perfect outfit for each party can be a little taxing as everyone wants to look their best. To make sure that you look your finest this festive season, we have put together a guide that will help you decide your attire according to each occasion. A classic well-tailored tux is the best attire you can wear to such events. When dressing for a Black Tie event, make sure that your black three-piece tux is well fitted. 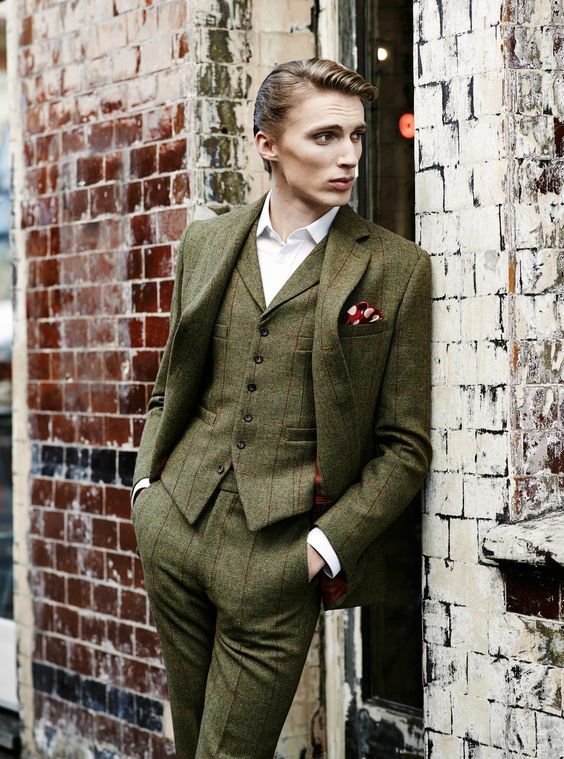 A bulky suit or a very loose one will spoil the entire ensemble. Your white shirt can either be a single pleat or a double pleat. You can always experiment with your bow tie, but the most worn colour is black. Wearing a cummerband is optional if you are not wearing a waistcoat. Do keep in mind that your cummerband should match the colour of your bowtie. Complete your look with an elegant white pocket square and cufflinks. Lastly, no look is complete without well-polished shoes. A black leather pair will do the trick in this case. Make sure you are well-groomed when wearing this attire. If you are not comfortable going clean shaven, then make sure that your beard is trimmed well. Your office party attire will depend on the dress code of the party. For a less formal look try pairing your light t-shirts or sweaters with your formal trousers and a smart jacket. Make sure your t-shirts complement the jacket. You can always accessorize your jacket with a simple pocket square. To add more elegance to this look, make sure your formal shoes are well polished. You can loosen the reins for this outfit. A plain shirt paired with casual trousers will do the trick. You can add a quirky bow tie or even suspenders to enhance your look. Since winter is here, layered clothing is back in trend. Try pairing a navy blue sweater with your white oxford shirt and a smart charcoal grey blazer over it. So even if it gets a little warm you can always remove the above layers and still have a complete independent outfit. The most important thing to remember is that you should be comfortable in whatever you wear. Do make sure that you are well groomed and that your hair is styled and beard trimmed accordingly, to match the look. You can always accessorize your looks with a well-matched belt and proper shoes. Let us know which look you like in by commenting below. You can also follow us on Twitter, Instagram, and Facebook. Very rarely will you come across men who work in offices that do not require them to follow a dress code. For the rest of us, looking fresh and at your stylish best is another challenge altogether. Expanding your style can be tough, and with various options to choose from, picking the right formal wear that is also suitable for the Indian weather can be even harder to master. Let our guide show you the way. Starting the week off on a good note is very important as it sets the tone for the rest of the week. So let your clothes do the talking for you as you begin the week. Start the week off by opting for bright colours to reflect your mood. Brighter shades of blue or turquoise are good options to start off on a good note. Blue is a cool and calming colour that shows creativity and intelligence. It symbolizes loyalty, strength, wisdom and trust. It is also known to have a calming effect on the psyche. Gingham prints are back in style and are widely preferred as a choice for formal wear. They are universally recognised and if paired correctly, can give your outfit a sophisticated look. A classic red and white Gingham style shirt will accentuate your style. The colour Red is said to represent physical energy, passion, and desire. It symbolizes action, confidence, and courage. One of the biggest advantages of being alive in the 21st century is the plethora of pattern options men have to choose from. So why let our formal wear take a backseat with the same old prints and patterns? Striped shirts with different colours can help add to your mood and life. Opting for a blue striped shirt that will ensure that you tackle the midweek blues coolly. Blue is often associated with intelligence, stability, unity, and conservatism. Let your clothes do the talking for your personality. If you think the weekly stress is getting to you and want to feel calm and at peace, opt for a white striped shirt with blue trousers. When paired with brown brogues, this timeless combination will help keep the heat and humidity at bay. White is said to be a colour of protection and encouragement, offering a sense of peace and calm, comfort and hope, helping alleviate emotional upsets. 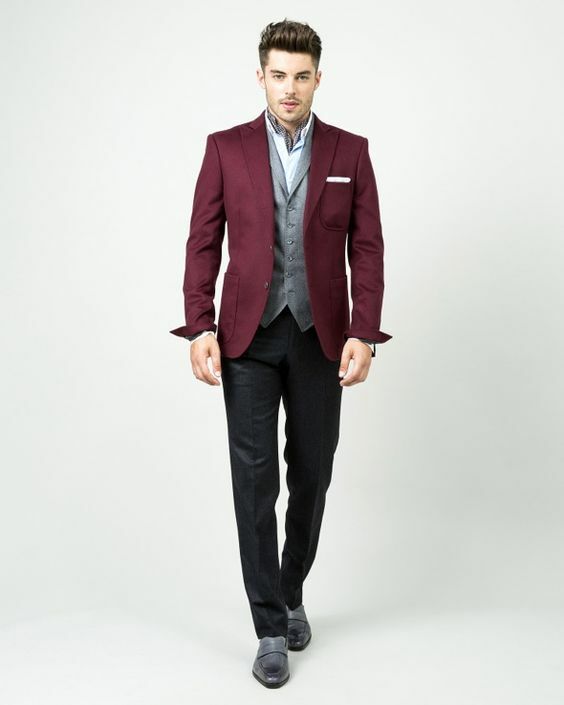 Long gone are the days when formal wear meant sticking to dull and boring colours. Opt for a shirt made of a light shade of pink. A little known fact is that pink was originally a colour for men, women gravitated towards it later. 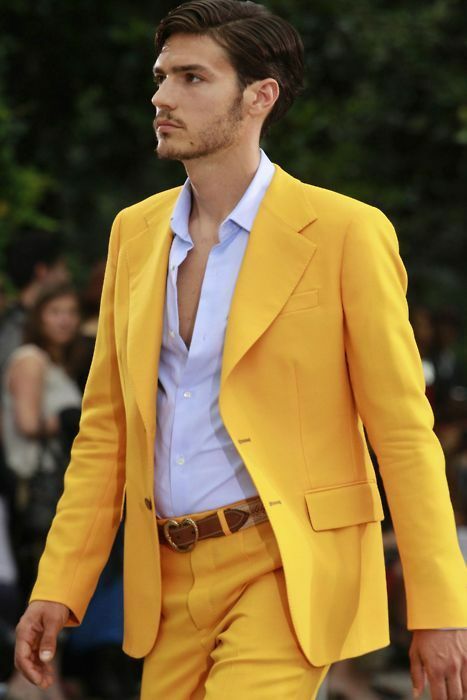 As a 21st century man feel free to wear whatever colour you think suits your mood. So don’t be afraid to break the myth and pull of the look with confidence by pairing your shirt with Khaki Trousers. Pink is said to have a calming effect on our emotional energies and can relieve feelings of anger, aggression and neglect. If you’re looking to make a statement and stand outside the crowd then, this is your moment to shine. Opt for a light grey printed shirt with a maroon bowtie to give you a classy vintage look. This outfit can easily be worn to social events that might take place at the end of the day. The colour gray is said to signify conventionalism, dependability and practicality. It is a colour of maturity and responsibility. As the weekend comes to a close, attending social events and outings with the loved ones is important, so looking your best after a tiring week can be daunting to say the least. A black shirt paired with a grey trousers will give you a crisp and classy look. The colour black is said to represent strength, seriousness, power, and authority. Black is a formal, elegant, and prestigious colour. It exudes authority and power. Dressing up in black will ensure you end the week on a powerful note. So the next time you pick a formal shirt, make sure that you put a little more thought you are since your clothes speak a lot about you. 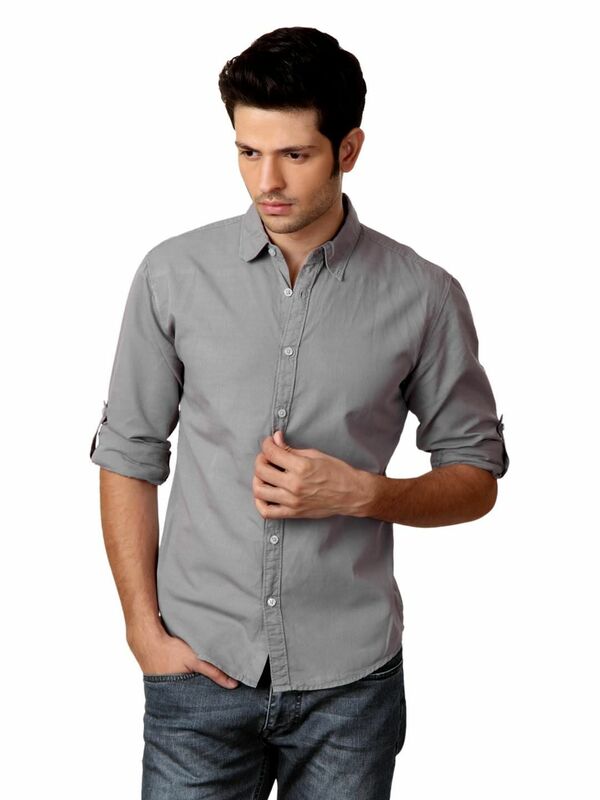 A good shirt will not only make you look stylish it will also add elegance to your final look. Pairing your formal shirts with the right trousers and shoes is equally important. For an in depth guide to the various types of shoes, check out our last blog. Let us know on our facebook page how what do you think and how would you style your outfits. There’s something about a guy rolling up his sleeves that raises questions. Is he going for a fight? Is he getting to work? More often than not this is because of the weather conditions we have here in India and he is looking to go for a smart, yet casual look. With the temperatures hitting the roof, a sleeve roll can come to your rescue. The sleeve roll has almost become a style statement. So here are a few ways that will help you keep cool in this blazing heat, without compromising on style. While many people may not have heard of this style of roll, it is one of the most casual roll up styles there is. It is simple and appealing to the eyes. 1) The first fold about the width of the cuff. 2) The second fold of similar width. Avoid straightening the fold as this roll gives you a casual look. If you have a tattoo or big biceps, this is the sleeve roll up style for you. This style involves rolling up your sleeves above your elbow. The first fold should be about the width of the cuff and the following rolls of similar width. Flatten out the sleeve for that smart look. The high roll sleeve is best suited for semi-casual or casual shirts. As the name suggests, this is a basic roll. Although it is can be a little time consuming to roll and unroll the sleeves, it is one of the most commonly preferred style when it comes to rolling the sleeves. Use the cuff width as a reference point and roll the sleeves up. Repeat the steps and roll until you reach the elbow. The basic sleeve roll is usually preferred when the sleeves are wider than the arms. Some shirts also have a thin fabric on the inside of the sleeve to secure a basic roll. The master roll is one of the more modern methods to roll up your sleeves. Shirts nowadays come with a contrasting color or design under the cuff. These are visible only if you use the master roll. Although the master roll may seem complicated, be rest assured it isn’t. The master roll involves rolling up the sleeve about two times the width of the cuff. Straighten out and smoothen the fold and then roll the sleeve from the bottom once again, leaving only a small part of the cuff exposed. The master roll is preferred as it is easy to undo and stays in place even after a long day filled with activities. The band roll or also known as the garter roll is a roll that uses a sleeve band to keep the sleeve in place. A sleeve garter will make sleeve rolling easier while giving you the retro look. Secure the top of the sleeve with a sleeve garter, then pull up the sleeve a few inches and hide the sleeve band under the shirt’s folds. So here were a few ways to roll up your sleeves and give your outfit a different dimension. Feel free to experiment with the aforementioned techniques and mix it up to up your fashion game!